Families terrorized in assault on congregation built on healing ministry. 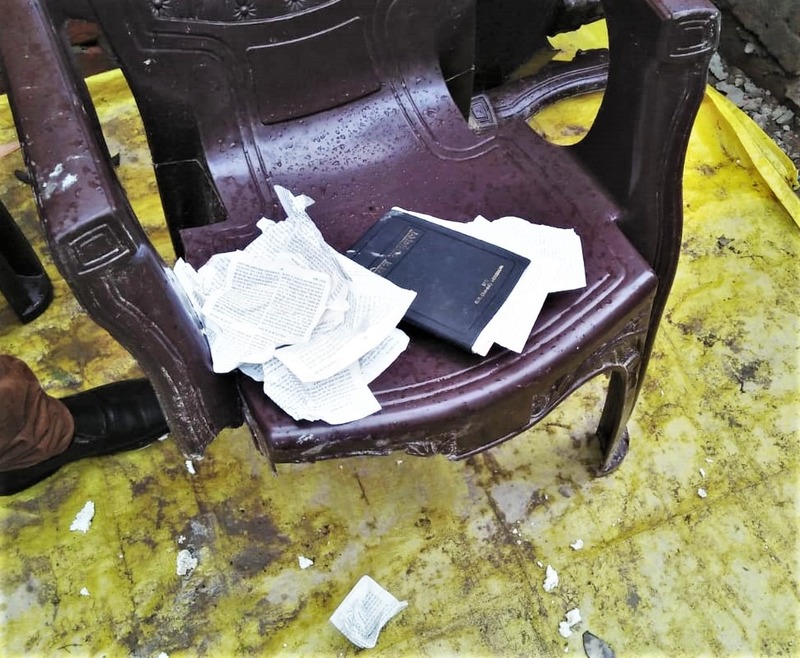 NEW DELHI (Morning Star News) – Brandishing hockey sticks and a gun that was fired on house-church grounds, masked Hindu extremists assaulted Christians in Uttar Pradesh, India. After the July 2 assault that terrorized families and sent nine of about 50 injured Christians to the hospital for treatment, influential Hindus pressured police to file charges against the Christians, the church pastor said. A partially blind girl identified as 12-year-old Rishu was severely beaten with sticks on her back, hands, legs and elsewhere on her body at the worship site in Raikashipur, Pratapgarh District, where about 100 Christians had gathered, pastor Ram Kumar Gautam told Morning Star News. The 50 people not injured managed to flee for their lives, he said. A 10-year-old boy sustained a head injury that required seven stiches, Pastor Gautam said. He added that more of the injured church members would have obtained hospital treatment but were afraid of further violence. “Dreading being attacked again, they did not accompany us for the medical tests, neither did they take their children to the hospital for proper medical examinations,” the pastor told Morning Star News. He said he was especially concerned about untreated injuries to other children. The Hindu extremists approached in three Mahindra Scorpio SUVs, each loaded with eight to 10 men carrying hockey sticks and other sticks, said the pastor. One had a gun. Those beaten also included women and the elderly, he said. “They did not spare children as young as 7 years old and beat senior men and women alike,” the pastor said. The assailants, he said, were members of the Hindu extremist Rashtriya Swayamsevak Sangh (RSS), and Bharatiya Janata Party (BJP), accompanied by a few villagers. Pastor Gautam said the church has grown even though they do not go out to preach. Most of those attending his house church came from outside the village. Of the approximately 200 families in his village, only two are Christians, including his own, he said. The nearest church site is about 45 kilometers (27 miles) away. 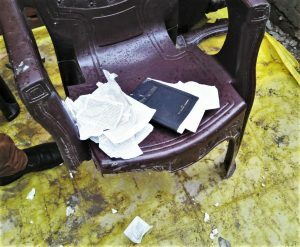 The mob damaged a tent-like cover used over an exposed part of the worship area, and they tore Bibles and broke chairs, a sound system and a back-up battery. Also damaged were 10 of the Christians’ motorbikes. Besides the vehicles, Pastor Gautam estimated total damages of at least 80,000 rupees (US$1,170). The church leader approached Sangramgarh police the same evening, and officers registered a First Information Report (FIR) against four unmasked assailants he was able to identify – Rajinder Singh, Rohit Singh, Shivam Pande and Vivek Tiwari, he said. The FIR also mentions 20 unidentified assailants. Charges against the attackers have been registered under Indian Penal Code sections for rioting, causing hurt, insult with intent to provoke, criminal intimidation, and Section 3(1)(x) of the Scheduled Castes and the Scheduled Tribes (Prevention of Atrocities) Act, 1989. No arrests have been made, and meantime police said they were forced to file a counter complaint against the Christians the day after the attack. The counter FIR against four Christians and two non-Christians was registered under IPC sections for rioting, rioting with deadly weapons, unlawful assembly, attempt to murder, house-trespass, voluntarily causing hurt, provocation, criminal intimidation, robbery and insulting others’ religion. 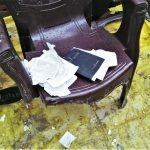 While police booked the attackers under sections that would let them off easily, sources said, the Christians have been booked under offenses that carry stricter punishment. A high police official and an administrative officer whose names are undisclosed for security reasons visited Pastor Gautam and told him that they were pressured to register the counter FIR against the Christians, he said. Knowing that Pastor Gautam and others are poor, they did not want them to be harassed, according to the pastor. Though they claimed to know the true nature of the attack and assured the pastor and others of a fair investigation and that they would “try and cancel these sections,” Pastor Gautam said that, as no action has been taken against the perpetrators, Christians feel grave insecurity. Pastor Gautam said he learned that a Member of Legislative Assembly has exerted pressure in the case. There has been no worship service since the attack, as police have provided no protection, he said. The pastor and others named in the FIR have left the village. His family left their home on July 6 after the false charges were filed on July 3, he said. The two non-Christians named in the FIR were the ones who called police to report the ongoing assault; the Hindu extremists included them out of rage, he said. The hostile tone of the National Democratic Alliance government, led by the Hindu nationalist BJP, against non-Hindus, has emboldened Hindu extremists in several parts of the country to attack Christians since Prime Minister Narendra Modi took power in May 2014, religious rights advocates say. India ranked 11th on Christian support organization Open Doors’ 2018 World Watch List of countries where Christians experience the most persecution.